India’s prime minister said Sunday he wants “normalized” relations with Pakistan amid rising tensions between the South Asian rivals following the Mumbai attacks that left more than 160 people dead. 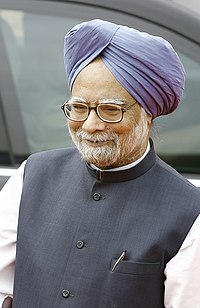 Singh traveled to Khundru town in Kashmir after a breakfast meeting with British Prime Minister Gordon Brown in New Delhi. The two leaders discussed the attacks on Mumbai, which have been blamed on a Pakistani-based Kashmiri militant group, Lashkar-e-Taiba. India has called on Pakistan to crack down on militant groups operating out of Pakistan. Pakistan has carried out raids on a charity believed to be linked to Lashkar, but also urged India to provide further evidence. India finds itself in the awkward position of having to investigate terrorist attacks hand-in-hand with its longtime nemesis. The two countries have fought three wars against each other since independence. Despite a peace process that began in 2004, tensions remain high. Thousands of soldiers used barbed wire and metal barricades to seal off all approach roads to Khundru ahead of Singh’s visit. The prime minister addressed the rally ahead of the sixth of seven rounds of voting in state elections. The elections for Kashmir’s state legislature started Nov. 17 and end Dec. 24. Voters cast their ballots in the fifth phase on Saturday as scattered clashes between protesters and government forces left one person dead. You are currently browsing the archives for the normalization category.